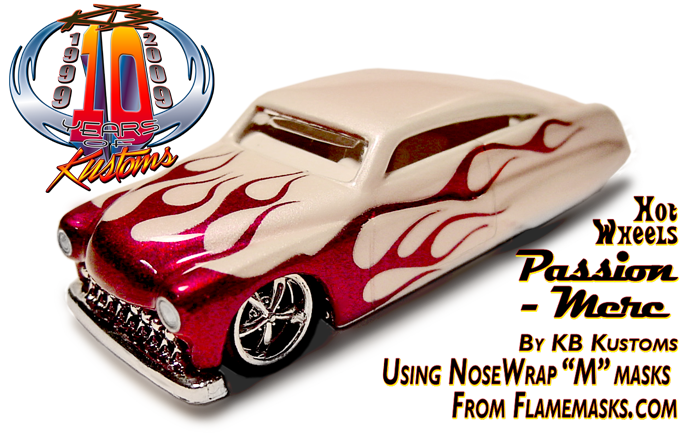 NoseWrap Masks : FlameMasks!, The Original :: Empowering YOUR creative Airbrush needs since 2001! NoseWrap masks .....are a one piece design that has flame licks for hood, and BOTH sides in one continuous mask. 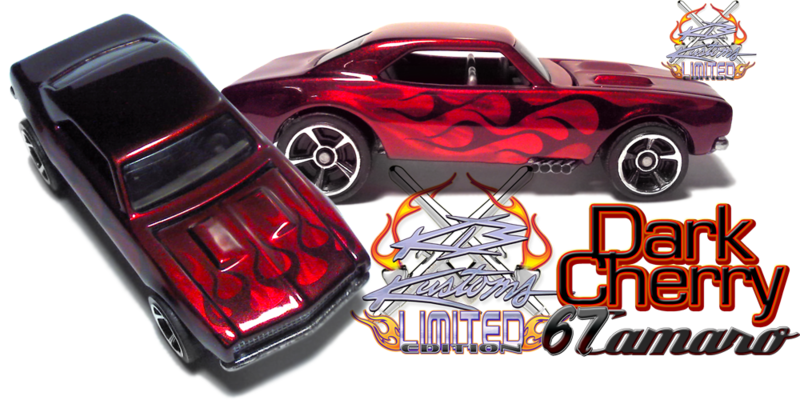 These masks are meticuously fitted to specific Hot Wheels castings. They will fit those castings PRECISELY. However, they can fit a variety of OTHER castings as well. Some castings may require some manipulation and/or cutting (of mask) to properly fit other castings. But there are many castings with similar sized bodies, which are large, medium, or small, in general, so you can compare the intended custom (casting) to the casting these masks are sized to fit, and come up with a close match. WE DO NOT claim an "exact fit" to ANY OTHER CASTING however, OTHER THAN the specific ones the masks are named after. SELECT and ORDER your NoseWrap masks BELOW. Here are a few examples of NoseWrap masks! 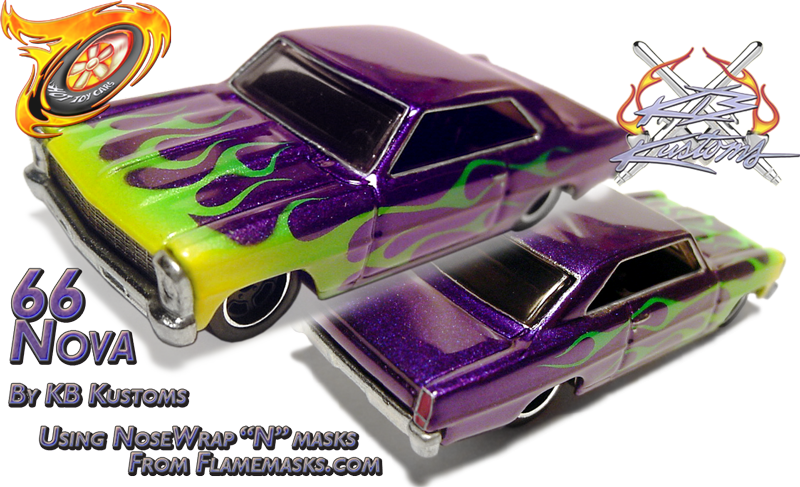 See these NoseWrap masks in depth via our Start to Finish Tutorial creating the 66 Nova seen above! NoseWrap masks can be purchased in quanties of 5. Please use dropdown selector at bottom of each product description page. 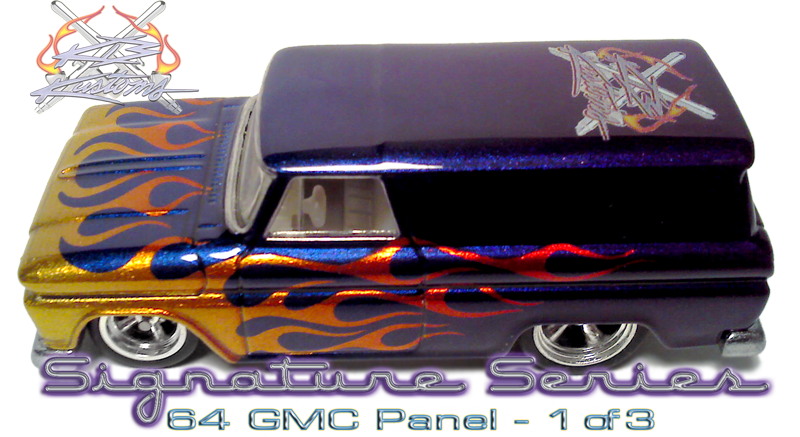 Different Specifically matched Traditional Flame designs are available. Each with inner and outer mask sides. The inner masks will be the most commonly used, However the outer masks may be utilized on convertible castings or those without roofs, otherwise, cutting of mask will be necessary to allow for the "hump" of roof. Sample sized application film available to transfer mask to surface, if needed, and may be purchased below. Not necessary to apply, nor is seperate film included by default, however it can make it easier for some users or those utilizing the "outer" portion of NoseWrap masks.